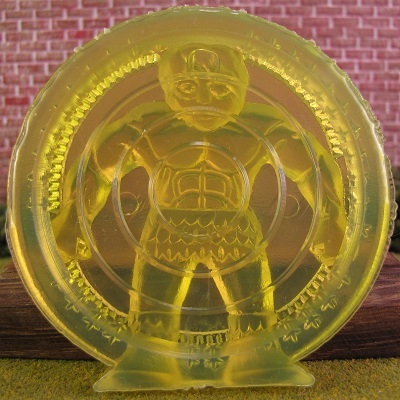 The sculpt was not a part of the known MUSCLEMANIA collection. The counterfeiting company seemed to create multiple “new sculpts” by taking a portion of a figure and affixing it to a large coin-like circle. 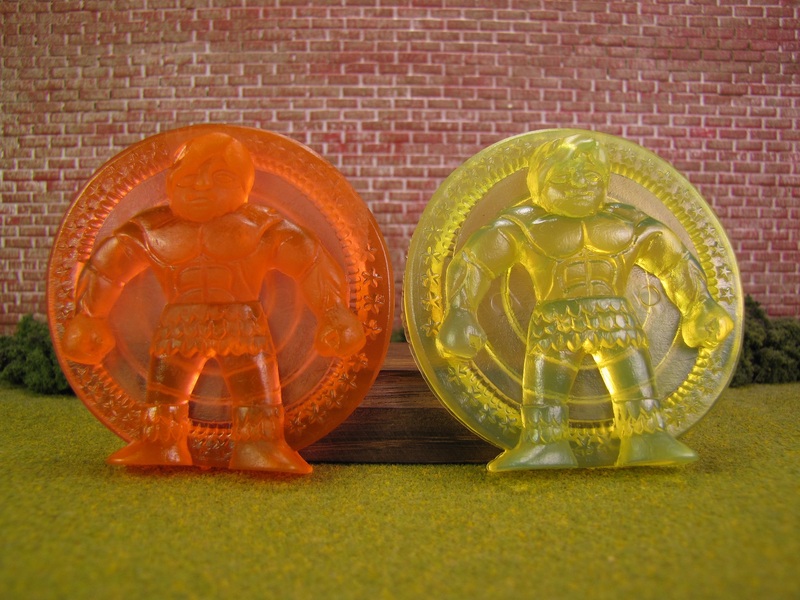 The original Kinnikuman kinkeshi figures, in Part 30, had a special anniversary coin. Is this where the counterfeiters drew their inspiration? 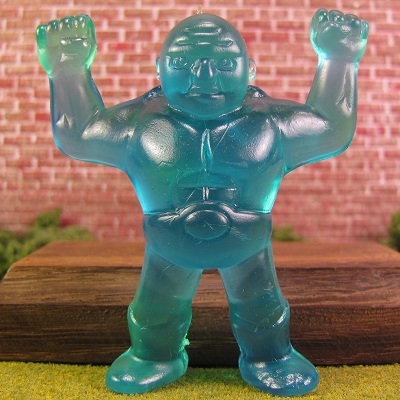 Was this common for other kinkeshi figures? 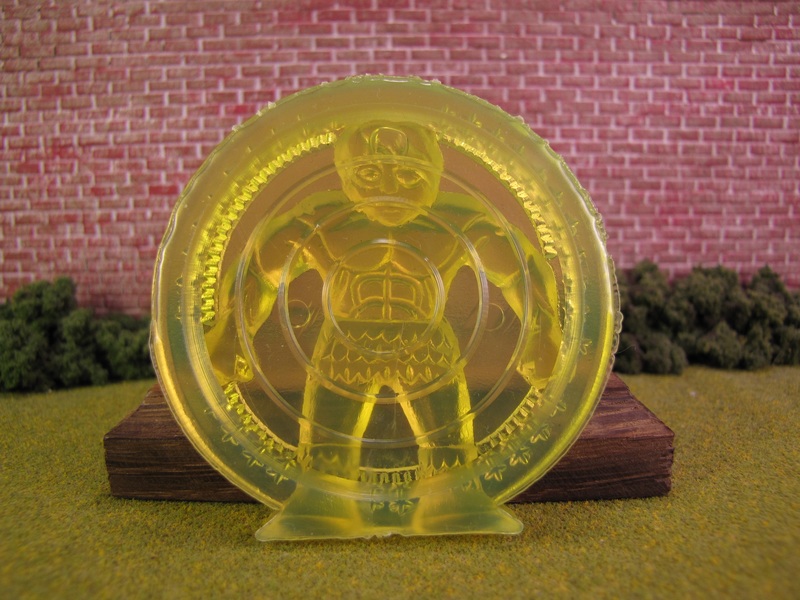 Most likely, the MUSCLEMANIA “coin” was the easiest way to repurpose a MUSCLEMANIA sculpt. The coin is also quite flat. Is that a result of trying to use as little plastic as possible to reduce costs? There was also a fifth counterfeit color that needed to be added – a translucent Blue. These figures were purchased from RetroWorldKorea. 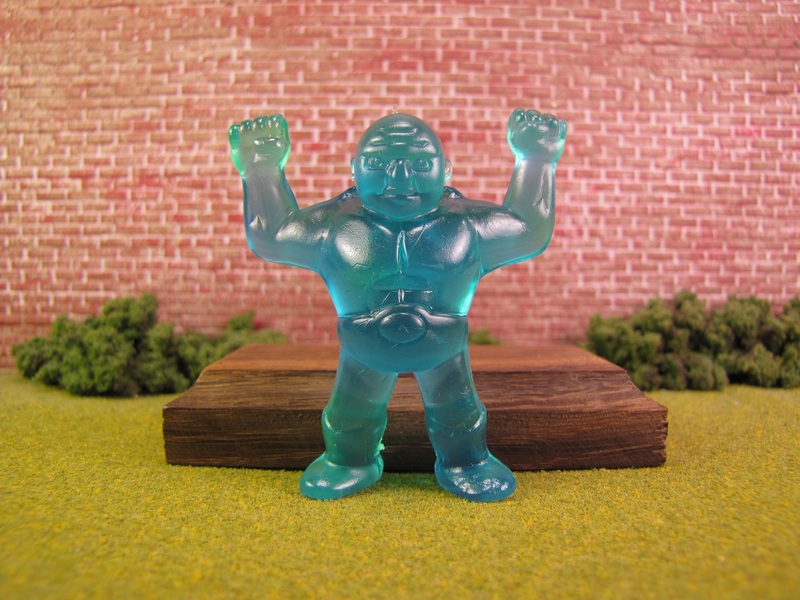 If you have any MUSCLEMANIA pictures to add to the archive, then please email a high-resolution picture to the University of M.U.S.C.L.E.. Please take the picture on a white background. Thank you! This entry was posted on Wednesday, July 4th, 2018 and is filed under Anthropology, Research, UofM News. You can follow any responses to this entry through RSS 2.0. You can skip to the end and leave a response. Pinging is currently not allowed. I should have explained what these were better. 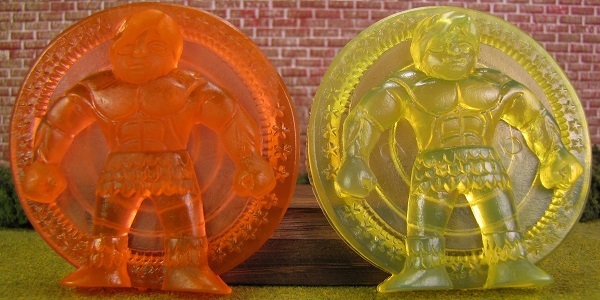 They are used in a game called “ddakji”. It’s played the same way as POGS. They made ddakji it both cardboard and rubber forms.